I've been a fan of Hunter Boots for a long time, I've had the same pair since 2009 and they're still going strong. But they can be really heavy and clunky, or they don't fit over pants properly, or they're a pain to change in and out of at work...you know the drill. I've tried the "rain flats" route (ouch...never again). 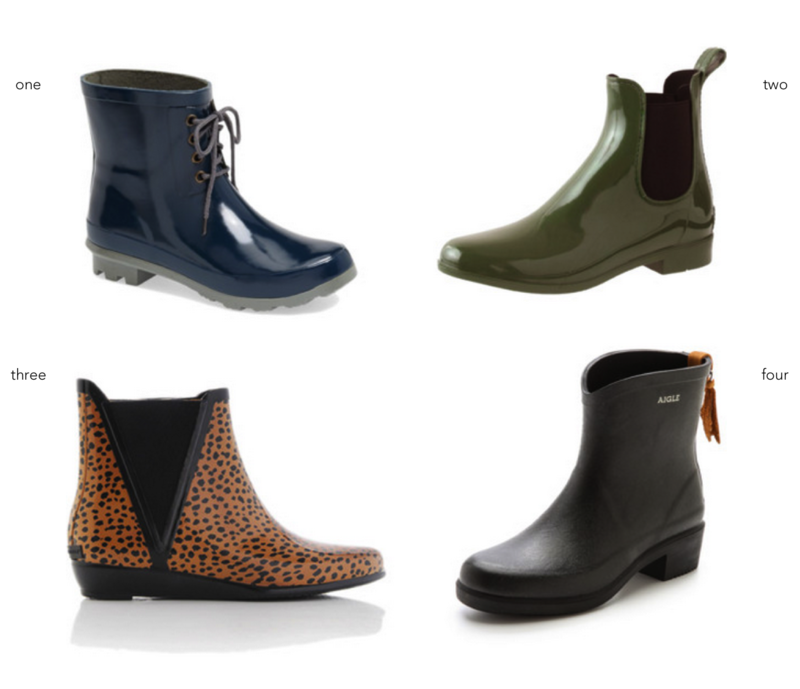 After stumbling upon these at J.Crew the other day, I am definitely going to have to add some rain booties to my closet. Who knew there were so many great options? I have to say, the no. 4 pair above is my fave. They look like real boots, but are rubber, and I love that they have a little bit of a heel. And the tassel?? Yes.